I am an experienced, qualified freelance marketing professional based in Wakefield, West Yorkshire. I work with SME businesses (and a few large ones too!) to step in and take on any tasks you would expect an employed marketing manager to undertake. I come from a creative background; studying graphic design and art history at university before embarking on a career in marketing in 1997 and qualifying with the Chartered Institute of Marketing. My pre-freelance (pre-lance?!) career was primarily spent working in-house in the marketing departments of various organisations in the public and private sectors. This, and working closely with owner/managers, gave me a great insight into what businesses need and how they work. In 2007 I got bored. I longed for more variety, more flexibility and more creativity so I took the plunge and quit my steady-boring-job and entered the uncertain-exciting-world of self-employment! Freelance gave me all these things and more. I love working with a number of different clients and companies, each requiring a different solution and approach. I now work in industries as varied as wine law and elderly care, security and skills development, fitted kitchens and flash mobbing! I enjoy putting plans and campaigns together, I express myself creatively by working with designers and web developers and I get to fulfil my love of writing through blogging and content management. I don’t think I’ll ever go out and get a ‘proper job’ again! If you know you need marketing help but are undecided between a freelancer, an agency or an employed marketing manager you can read why a freelancer is the answer (in my humble opinion!). If you think that I could add value to your business and want to find out exactly how I could help drive your marketing forward then give me a ring on 01924 820273 or send me a message and let’s talk; our first meeting is always free and without obligation. Sarah has provided MonitorGO Ltd with superb marketing support. 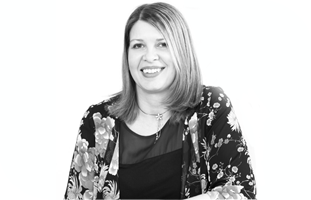 She has an extremely varied range of skills and has helped us with strategy, copy writing, web site management and development, plus a range of customer facing activities. Sarah is an excellent marketing generalist and knows the right people to go to for specialist skills. Sarah is lively, friendly and good with people and works hard at whatever comes her way. I can recommend Sarah most highly to any small business looking to build and grow its profile.